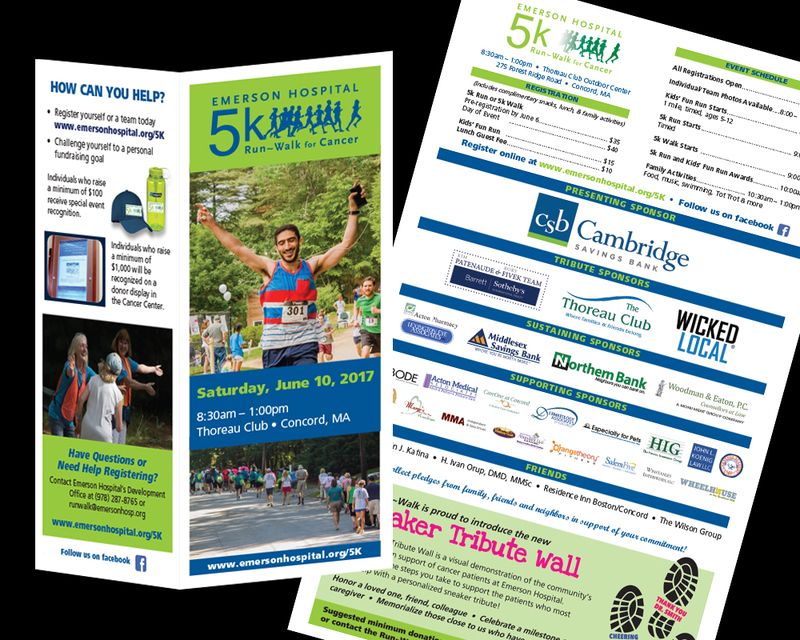 Emerson Hospital Run-Walk | Accent Design | Inc. Participant brochure for fundraising event. Additional collateral includes banners, t-shirts, shopping bags, posters and advertisements.